A cleaner/glaze. Swirl Remover is a combination cleaner & glaze that provides the mildest of clean sufficient to remove the finest swirls marks or those left by a more aggressive cleaner. An agression Level 3 (of 10). Use with a medium grade foam pad (see the Doctor's Blue pad) and follow with a protectant like M26, Hi Tech Yellow Wax or M21, Synthetic Sealant polymer protectant. 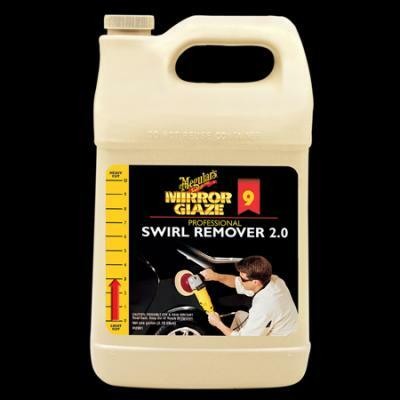 Swirl Remover 2.0 is a deep gloss cleaner/polish. It removes fine scratches and swirl marks, while providing a dark, dramatic shine. Formulated to reduce splatter and make application and wipe-down easier.